Whether you are researching vintage furniture for restoration purposes or simply want to be better informed when antique shopping, Kennedy Hardware has the historical furniture reference books and catalogs you need. 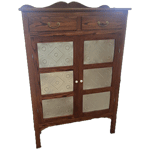 Our Catalog of Restoration Hardware for Antique Furniture is a handy and inexpensive reference for new, antique-look and reproduction items in our extensive stock. 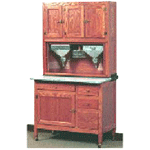 Hoosier Cabinets is by Philip Kennedy, the foremost authority on these step-saving kitchen cabinet classics which were popular in the early twentieth century. 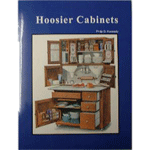 The book is for anyone who owns a Hoosier cabinet, wants one, or is ready to begin restoration. It features information on major brands like Hoosier, Sellers, Napanee, McDougall and Boone. We also carry plans (each sold separately) that help you build three different reproduction furniture pieces: your very own replica of a 1921 Hoosier Cabinet, a vintage country ice box, and a classic pie safe. Plans include detailed design drawings and instruction booklets. Our 18-page chair caning and weaving booklet is a must if you want to restore the cane bottom or seat back for a vintage or reproduction cane chair. 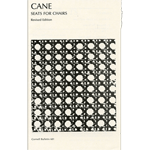 The booklet provides photos and instructions for hand weaving as well as using pre-woven cane. 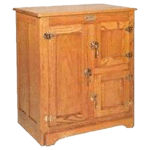 And if you are a true enthusiast of Hoosier cabinets, check out The McCormicks of Albany, Indiana. 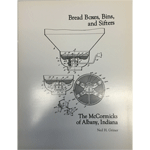 This book provides a detailed glimpse into the workings of a family business; and of the manufacture and distribution of furniture products from this southern Indiana town. 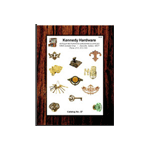 Whatever your interest, these catalogs, plans and reference books from Kennedy Hardware help you make the right moves for your antique furniture purchase or furniture restoration project.